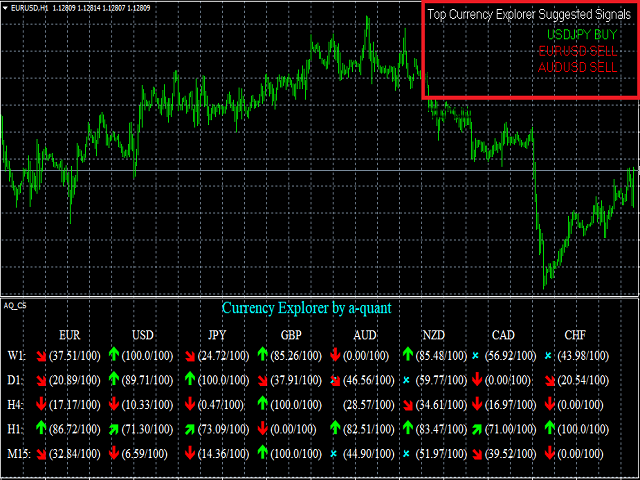 Currency Explorer Pro Version now gives you the unique chance to get high probability Machine Learning signals based on the strength of each currency. Green text right-top on the main chart, indicates a BUY signal and red text indicates a SELL signals. Signals are updated automatically.